The Caribbean singer congratulated the couple as Matt’s story was met with a round of applause form the studio audience. But to Billy’s surprise this was not the end of the tale as the BBC presenter’s wife was stood in the small crowd. Matt said: “Nicola is over there because it is the only way she gets to see me because i’m working, so I did just wonder as the guitar is there would you play just a little chorus. The singer picked up his guitar and began to serenade the couple with a small snippet of his popular song. As Billy sang Love Really Hurts Without You, the host ran over to his wife and wished her a happy anniversary before giving her a kiss on the lips. 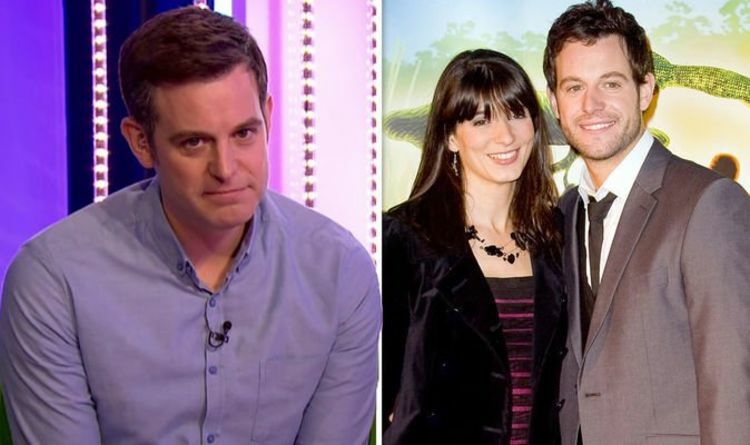 The father-of-two met his wife Nicola before he moved down to London for his presenting job on Blue Peter and the couple share two children together, son Luke and daughter Molly. Matt opened up about his wife to the Radio Times, saying his wife is “everything” to him. Countryfile airs tonight on BBC One at 6pm.